A couple of weeks ago, I headed up a massive, crowdsourced list of the best PC games of all time. This week, we added what will probably be our final update. I didn't expect that the list become as massive as it did, nor did I expect that a couple of games would emerge as clear favorites. Despite the fact that thousands of readers submitted and commented on hundreds of games, a few games emerged as favorites. And as time went on, I kept hearing about one game in particular. Every day or so, someone would mention how they loved it; someone would fondly remember it; someone would post a screenshot or soundtrack clip or memory from Star Control II. I grew up playing PC games, and yet I never had a chance to play Fred Ford and Paul Reiche's 1992 action/adventure classic. Thanks to all the descriptions I read of it, I'm determined to carve out some time this fall to check it out. Rather than try to say anything substantive of my own about it, I thought I'd turn it over to our readers, who wrote four separate endorsements. Like, imagine if Douglas Adams wrote a perfect adventure game (Not you, Starship Titanic :/) and mixed it together with open-world exploration, combat, freaky alien diplomacy and resource gathering. What would you get? Star Control II. Like Mass Effect? Well Star Control’s DNA is all up in that series. It's got combat, morally ambiguous decisions that decide the fate of the galaxy and best of all: Juffo-Wup. Reader Jonathan Adams also liked it, pointing out that it had some of the first open-world/universe gameplay ever attempted by a game. The exploration plays out much like other space exploration games (think Starflight), but in a surprising design decision, the 2D battles play out like overhead tank battle action games. It's what Mass Effect would have been like if it was made in 1992 and you never got out of the ship (more Star Trek, less Gears of War). As a side note, this game was created by Toys for Bob, who are now handling the Skylanders games, and you can definitely see some great character design pedigree. 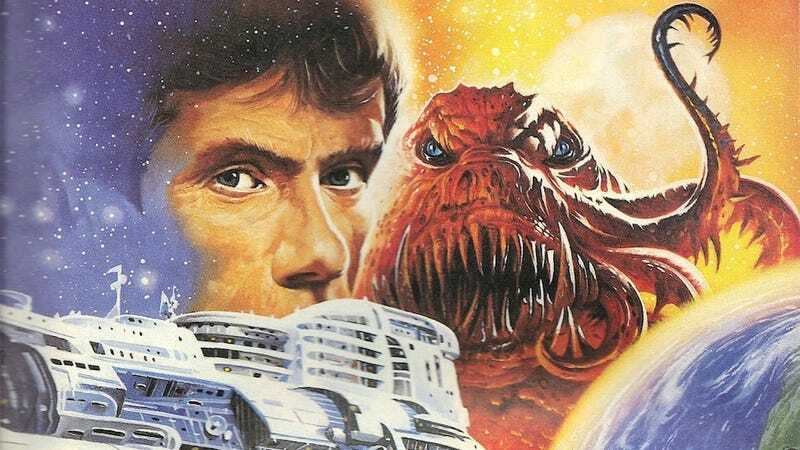 Star Control II is simply a fantastic PC game that offers branching storylines, exploration, freedom of choice, humor, and a whole lot to do with little barrier to entry. The game has been a huge influence on other major gaming franchises, most notably the Mass Effect series. As far as early open world (or universe) games go, Star Control II does it as well, or better, than any other game. i just scrolled a bunch to make sure this was on the list. And so. I do not have to declare a winner from our classic PC games list. It is not required. And plenty of other less well-known games put up a good show, in particular Total Annihilation, actually. And of course, we gave plenty of love to the usual suspects—Deus Ex, KotOR, System Shock 2, X-COM, The Longest Journey, etc. But if I had to declare one game that captured the most hearts and minds, it'd be Star Control II.